Walking in a market in the outskirts of Fethiye, a small coastal village in southern Turkey I ran across this. 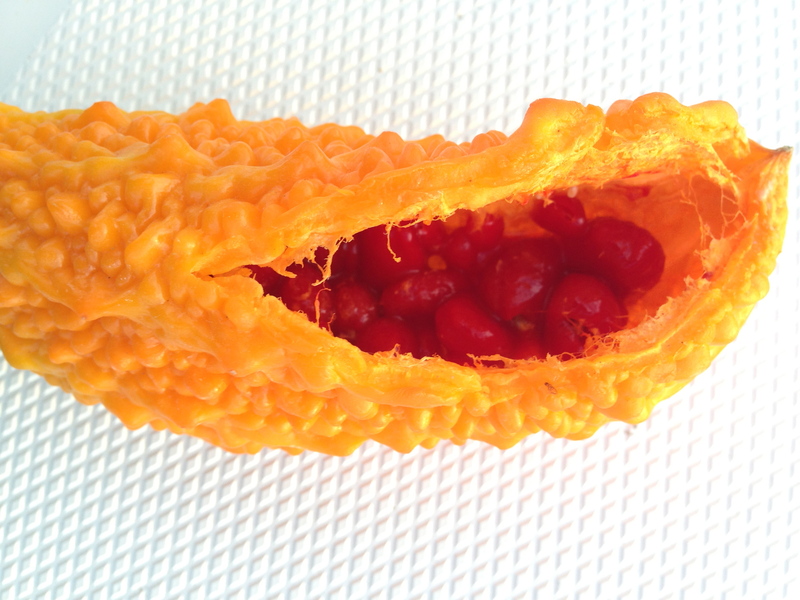 I couldn’t resist as I had never seen it vivid red seeds surrounded by a vibrant orange. Ampayala has the most documented scientific reports that cite its blood sugar-lowering benefit. Research worldwide since the 1960’s cites the plant’s key compounds, notably polypeptide-P, a plant insulin known to lower blood sugar levels. The plant’s insulin-like benefits can be eaten as a vegetable or taken as a tea. With the traditional use supported by modern scientific validation of the plant’s benefits, the Ampalaya is the single most promising plant/herb for diabetes today.